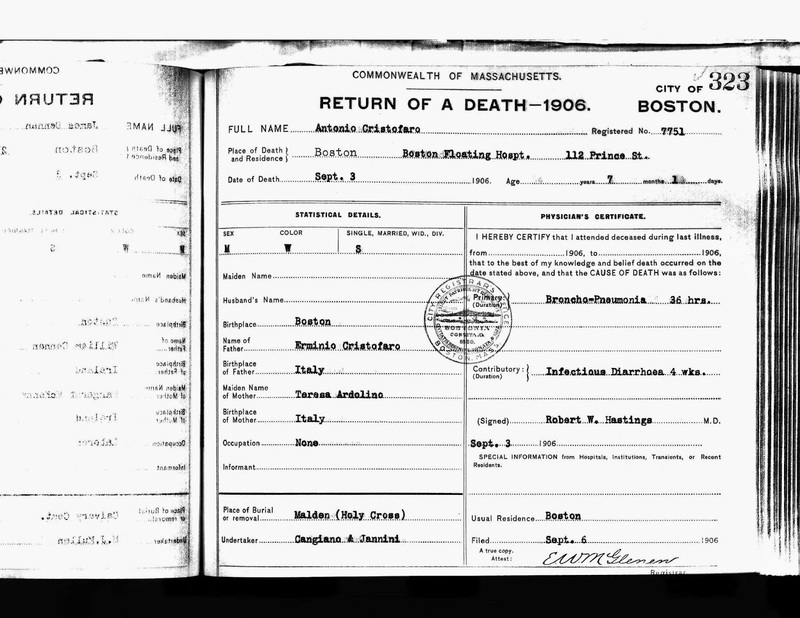 Source: Ancestry.com, "database & images", (http://www.ancestry.com), Massachusetts Vital Records, 1840–1911. 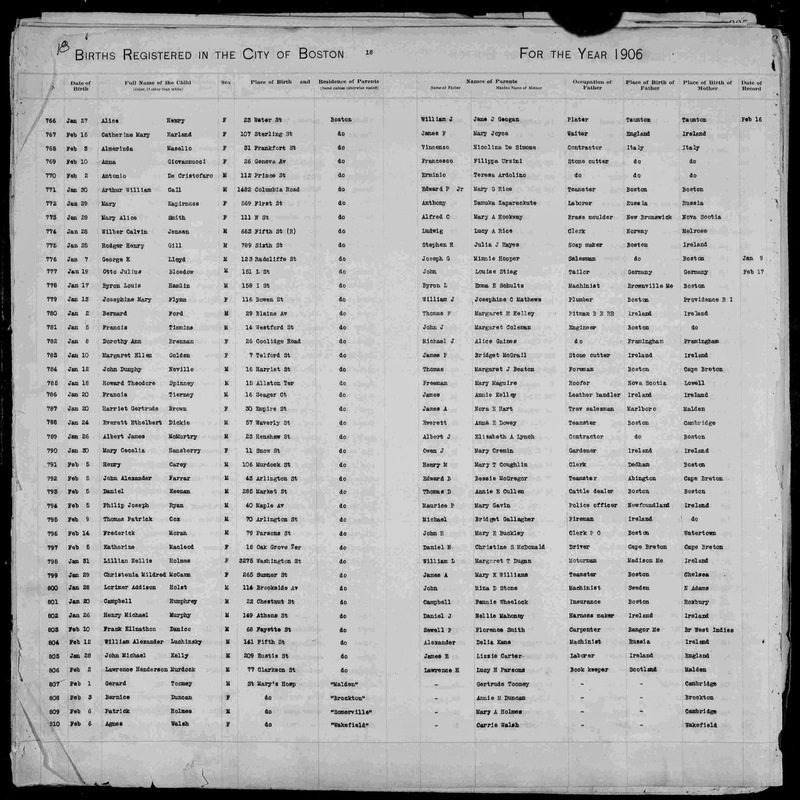 New England Historic Genealogical Society, Boston, Massachusetts. Certificate Registered No. 7751, Page: 323. Cit. Date: 23 Sep 2014.